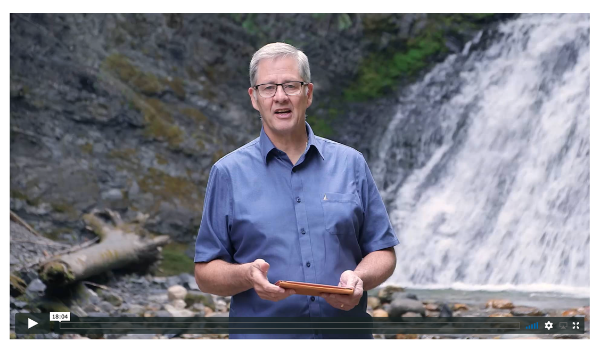 With the fourth edition of Basics of Biblical Greek now available, we are proud to announce the updated video series covering the textbook and the screencasts covering the workbook. In these video lessons, I will walk you through my textbook, Basics of Biblical Greek. Click here for more information. This is a full two semester course. Unlike the Chapter Overviews included in the free online class, in these lectures I cover almost every paragraph in his textbook. There are 37 lectures ranging approximately between 20 and 35 minutes each. For a comparison between what you get with the free class, the online lectures, and the flash drives, click here. These new videos include the screencasts over the workbook exercises. How are they different from the previous videos? These videos are brand new (2019). They match the fourth edition of Basics of Biblical Greek, but they work with earlier editions (see the differences). Shot by a professional videographer in some of my favorite places (my home in Washougal, home office, cabin on the Pend Oreille, and Sweet Creek). Includes the screencasts over every chapter in the workbook. You can watch the first five lectures and first three screencasts before you buy. Note on online access: If you purchase access to the lectures inside of online Greek class, then you will be able to listen to the lectures while on the internet but the video cannot be downloaded. You are purchasing access for 365 days, after which you will not be able to access the classes. The video files are rather large and require a broadband connection. We offer substantive discounts for classes that require all students to purchase the videos. We also give materials away to encarcerated prisoners. No other discounts are available. Contact us for details. These videos and screencasts sell for $189 (plus shipping). These lectures are copyrighted by Dr. Bill Mounce. By purchasing this product, you are agreeing not to make copies of the lectures and give them to others. (You are more than welcome to make a copy to watch on your computer, phone or tablet.) We try to keep the price low enough so students can afford their own copies. Thank you.